Apart from this blog, my life is almost one of a typical housewife. I cook yummy dinners, bake warm scones, do the ironing and looking after Anastasia. Haha… no, not really. 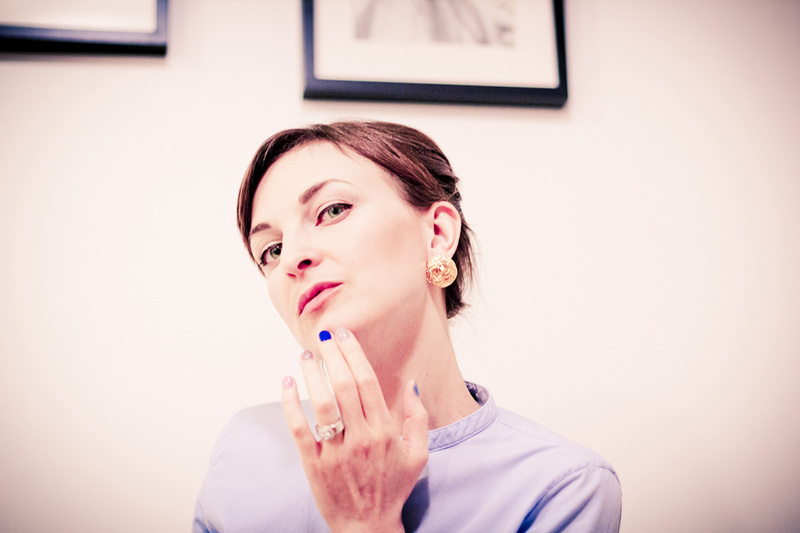 These photos are just my vision of how I’d wear these fabulous vintage Chanel earrings. A juxtaposition of casual denim, relaxed blue (also worn here) and neat up do hair with a winged eye – I like it this way. While I had fun dressing up and imagining what it feels like to be an ideal housewife it’s not necessary that you style the earrings the same way. They are pretty multi tasking and will go perfectly with a classic LBD, a tailored suit or almost any evening dress you own. 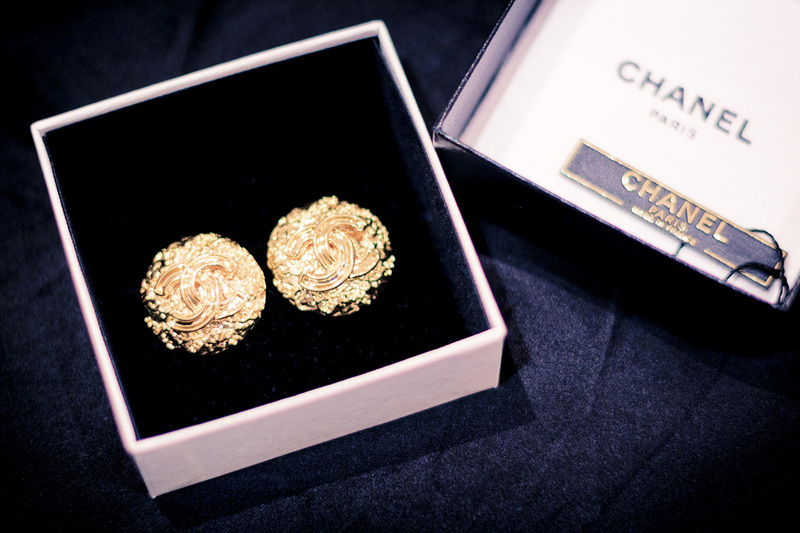 These stunning vintage Chanel earrings can be yours! Courtesy to Reebonz we’re giving away them away. It comes with a gift box and authenticity tag. 3. You have to be CrashingRed’s follower. So if you aren’t yet, please follow via Bloglovin. Be honest, we’re counting. 4. Leave a comment below, include your Facebook name or Twitter handle. So we can find you if you win. The winner will be announced on Facebook on 14 August 2012, so to stay informed you may wish to like us on Facebook. This giveaway is open for Australian residents only and closes on midnight Sunday, 12August 2012. 1. ‘Reebonz.com + CrashingRed.com Giveaway: Win vintage CHANEL earrings’ is an Australian residents giveaway, meaning it is open to those people who live in Australia. b) Follow CrashingRed.com on Bloglovin and Facebook. 3. Winner will be chosen on the above criteria with the most points and will be identified via random number generator. There will only be 1 winner. 4. Tweeting, retweeting, linking and sharing on Facebook or Twitter etc – including to importantly tag the official CrashingRed Facebook page or Reebonz Australia Facebook page will count as extra entries. 5. Following CrashingRed.com on Twitter, Facebook and Bloglovin each will count as an entry. 3 follows = 3 points. The more points the better chance you’ll have of winning! 6. You can only enter once. 7. Winner will be contacted via Twitter or Facebook. 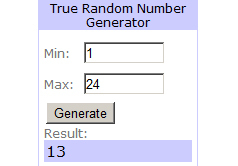 This giveaway is now closed and the winner is Kellie Anderson, No 13. Wow! What an amazing giveaway! Thank you soooo much! I already have a Rebonz account, and love them! Fingers crossed so hard it’s cutting off circulation! I have a rebonz account now (never seen them before) I am now following them on twitter (I already follow you) and have retweeted about your blog and comp. I am having trouble getting ‘bloglovin’ to send me the registration email though so hopefully that works…. I would LOVE LOVE LOVE these earrings, I would be in Chanel heaven!! My twitter handle is @AmyZempilas and I follow Crashing Red and have a Reebonz account. Such an amazing giveaway! You’re amazing, as is your blog! I signed up, thanks for the invitation code! what a wonderful giveaway – and a unique pice of jewellery too. Thanks for the opportunity. OMGeeeeee what an awesome comp! Love me some Chanel!! These vintage Chanel earrings are amazing, by the way!! I really love this simplistic look, it really sets a nice background for the lucious earrings! I wish I could enter this giveaway:( It’s not for the US residents is it? Hi Maria! I have signed up with your invitation code to Reebonz. 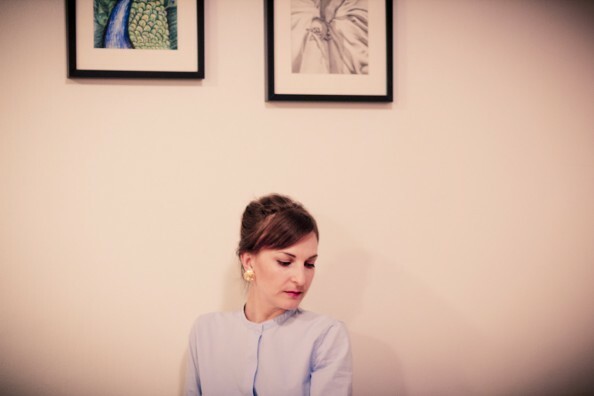 What a beautiful vintage piece, I would love to win soooo much! Already following you via Bloglovin, Facebook and Twitter. And Reebonz too! Wow, amazing giveaway! How beautiful. Signed up for Reebonz and liked them on Facebook – also facebooked about the giveaway (@Kitt Stoddart) and tweeted (@LaFemmeCritika). thanks! a great new website i didn’t know about!! 1. I tried to accept your invitation, but it said it wasn’t available for my country (US) does this matter? Stunning earrings, I love them, thanks for the wonderful giveaway. 1. When I tried to sign up for the $20 code, it says invalid for my country :( ?